Welcome to Uftring Auto Group's Classic Celebrity of the Week! Each week we take a look back and honor a classic celebrity. Ahh the memories. 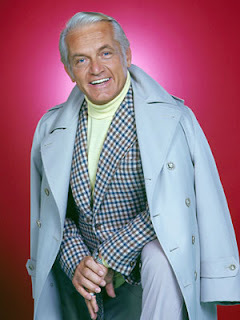 Uftring Auto Group's Classic Celebrity of the Week is the great Ted Knight – best known as WJM newscaster Ted Baxter on the Mary Tyler Moore Show and Judge Smails in Caddyshack. Knight received six Emmy Award nominations for his work as Ted Baxter, winning in 1973 and 1976. Caddyshack is one of the all time greatest sports movies, and Knight’s performance is instantly memorable. Ted Knight is awesome because of his one-of-a-kind laugh that only the gifted few can duplicate. Mr. Knight gets bonus points for appearing on one episode of the Love Boat – which was a great place for classic celebrities to hang out.